I am privileged to live a mere half-hour’s drive from a very well-supported railway museum. 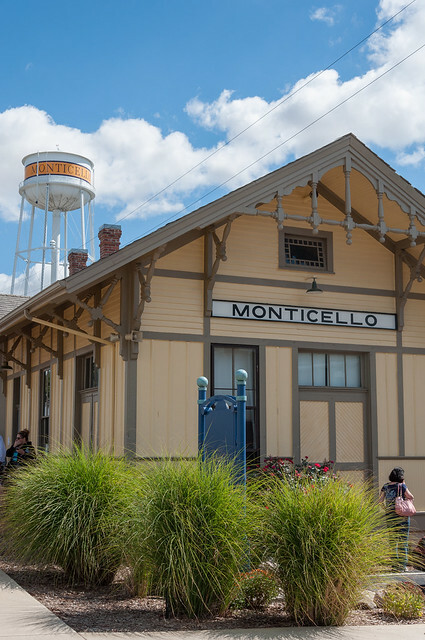 The Monticello Railway Museum has an enthusiastic and devoted crew of volunteers, an excellent machine shop (so excellent that other railway museums have paid them for their work), and legions of fans, young and old, who come out on the weekends for a ride. 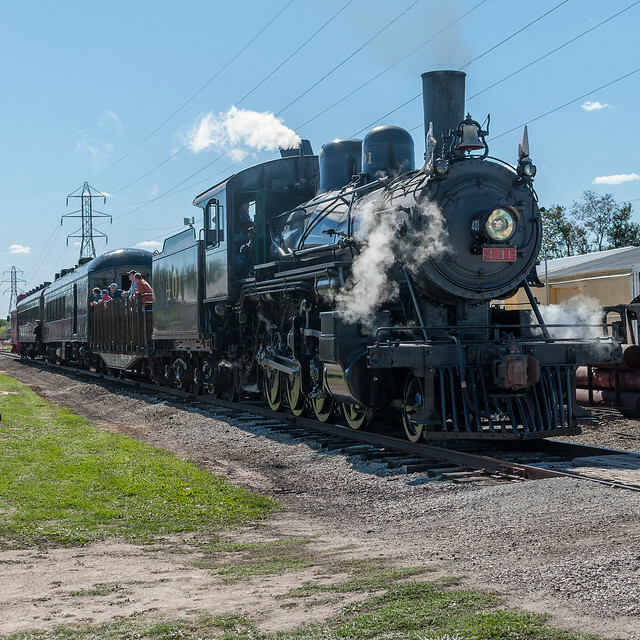 In the middle of September every year they have one weekend with all-day passes, extra trains running, and extra amusements for the kids, and our young railfans have made it for the past two years. 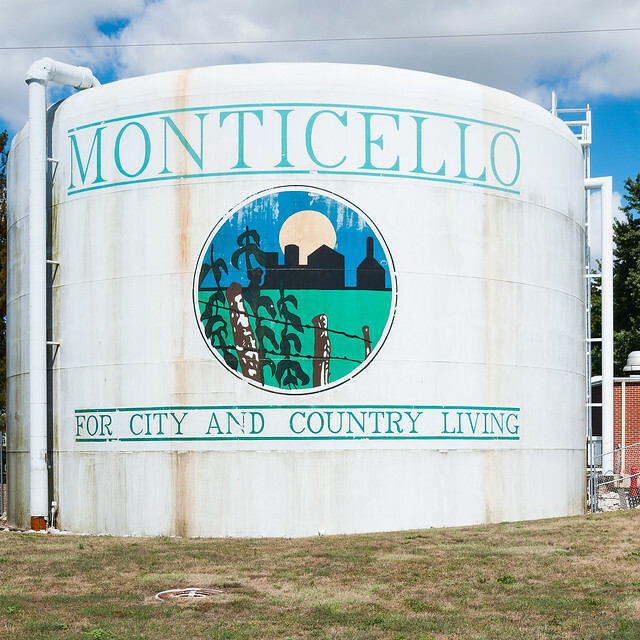 Monticello (pronounced mon-təh-SEL-lo, unlike Thomas Jefferson’s famous home) is a small town by most standards but it is the county seat of Piatt County, Illinois. 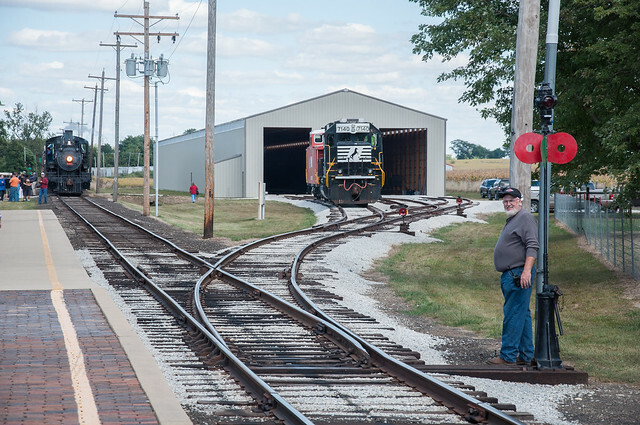 The MRYM depot in downtown Monticello was moved a couple blocks to its current location. One of the old waiting rooms is adorned with various and sundry railroad signaling equipment, including a working three-color light visitors can operate themselves. 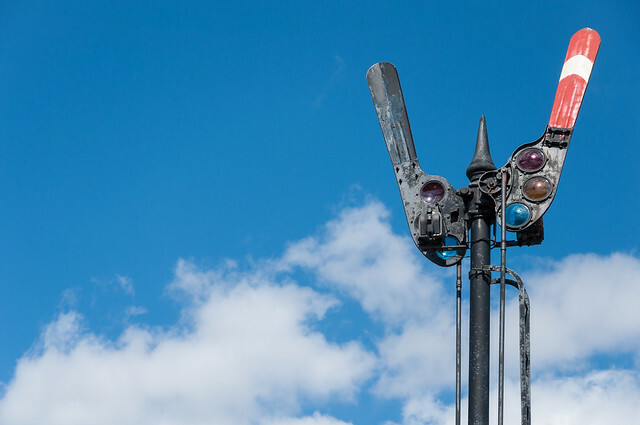 This old three-color/flag signal at the museum yard (called Nelson’s Crossing after the old Illinois Terminal station at the same location) always fascinates me; this is the third image I have made of it. It has a twin at the Monticello depot which I have not yet photographed. The gentleman on the right by the switch stand has just switched the points to allow the engine at right to come out of the shed. 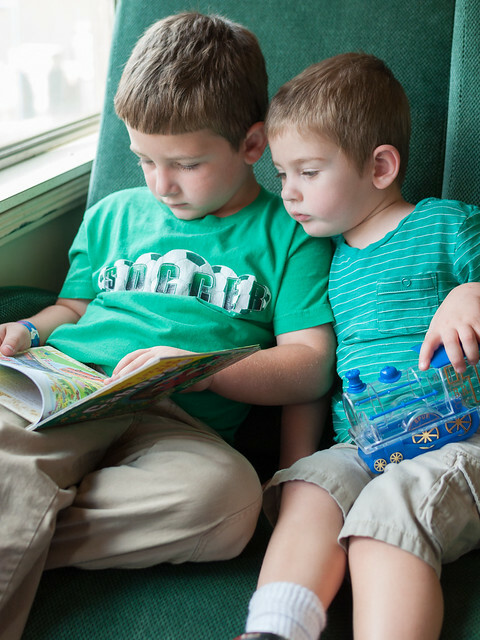 My sons relax with their loot from the gift shop in an old Illinois Central passenger car as we prepare to head back to Monticello. 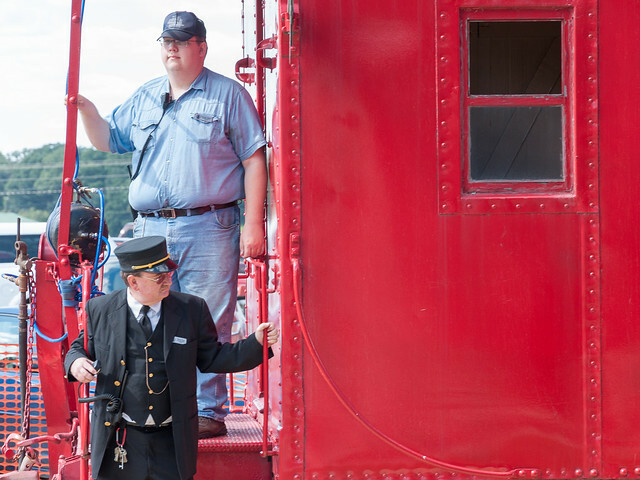 Appropriately, we end with a caboose: two more volunteer crew keep things in order as a diesel-powered passenger train approaches Nelson’s Crossing.